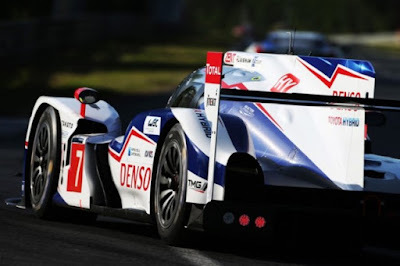 Toyota has confirmed that it will switch to turbocharged power for the 2016 World Endurance Championship season. Toyota's technical director Pascal Vasselon confirmed the decision, stating: "I don't think we will retain the normally aspirated V8 configuration. It will be a turbo engine. It's a little too early to release any specific information." The engine is highly likely to be a small-capacity turbo engine and will target the 8MJ category, something which has reaped dividends for Porsche so far in 2015. The new technical package will also introduce battery storage, which will work with the same twin-axle retrieval system the team currently uses. The 2016 car will be known as the Toyota TS 050 and is scheduled to test just after Christmas. Toyota is set to undergo a painful remainder of the 2015 season as it essentially calls time on significant development of the TS 040. "Clearly, it wouldn't be very efficient for us to invest in developing this year's car," said Vasselon. "We could tweak a few things on it, but we do not think that these would make a significant difference. So, yes, we are fully focused on next year's car. "The gap will vary, obviously, depending on the characteristics of the circuits. However, we expect a difficult end to the season, a bit like Audi experienced last year". Toyota could run a third car at Le Mans in 2016, but it would only happen if it would not impinge on the initial development of the TS 050 program. The decision would also depend on budget resources, which are set to be increased for 2016 onwards. "We couldn't enter a third car previously, but now the question will arise," said Vasselon. "Now, I cannot give you that answer because we do not yet know the full budget we'll have. "We know it will be increased, but we know that it will never be at the same level as Audi and Porsche, that's a sure thing. However, it will be increased. "We will need to re-assess whether running a third car is acceptable without threatening our development programme."